Saudi Arabia’s King Salman ordered the arrest of a prince and his associates on Wednesday after videos emerged which appear to show the prince engaging in abusive behavior against citizens. In the footage, which was published on YouTube, the young and low-level prince can be seen pointing a weapon toward one man and slapping another victim. Other clips appear to show bottles of whiskey in a possible violation of the country’s alcohol consumption and sales ban. The wide online circulation of the clips put pressure on the country’s leadership to prosecute the prince, Saudi bin Abdulaziz bin Musaed bin Saud bin Abdulaziz, especially because King Salman had previously emphasized that he generally considers citizens’ rights to be of higher value than the protection of royals’ privileges. Although Saudi princes receive a monthly allowance and hold a special status, they can be prosecuted by courts. The most serious reminder that royals may be privileged but not sacrosanct came in October when one prince was executed after being found guilty of fatally shooting a man in 2013. In his arrest order on Wednesday, King Salman urged Saudis to report other possible cases of abuse of power to authorities. 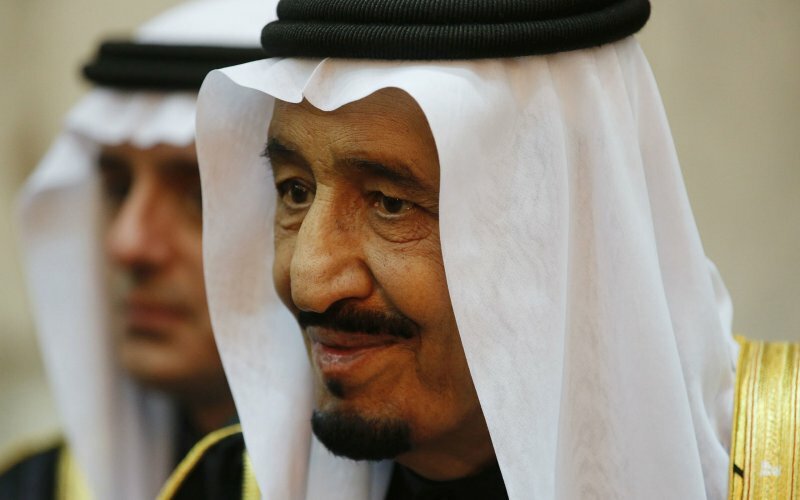 Amid reports of infighting in the Saudi royal family, King Salman has recently attempted to cement his own power despite a potentially gloomy economic outlook and geopolitical woes. Since he became king more than two years ago, the Saudi leader has fired several senior officials for misbehaviour caught on camera. But some of his critics wonder if the same scrutiny is applied when there are no cameras, and no clips emerge online. The Saudi prince’s arrest also came the same week a young woman was arrested by authorities in the country after a video showed her wearing a short skirt and a top that revealed her midriff. Such attire is taboo in Saudi Arabia, where women are required to cover themselves in public with a loose-fitting cloak. The woman’s subsequent arrest triggered global outrage, and officials announced on Wednesday that she had been released without charges. Meanwhile, King Salman’s order the same day to arrest Prince Saudi bin Abdulaziz bin Musaed bin Saud bin Abdulaziz specified that neither he nor his accomplices should be released before the end of their trial. Despite Saudi attempts to calm critics in both cases, the two widely discussed arrests this week revealed some of the deep divisions which have long run through Saudi society. Whereas religious hardliners welcomed the young woman’s arrest, others condemned it as backward and inconsequential – given that Saudi women travelling abroad sometimes also do not cover themselves in public. And whereas the Saudi prince’s arrest has been widely praised in Saudi Arabia, it has also raised questions over the origins of the sense of superiority and being above the law which has been repeatedly displayed by some royals. The 4th & 2nd to the last paragraphs don’t belong on a Heimishe Website…..
Let all the arabs kill each other.